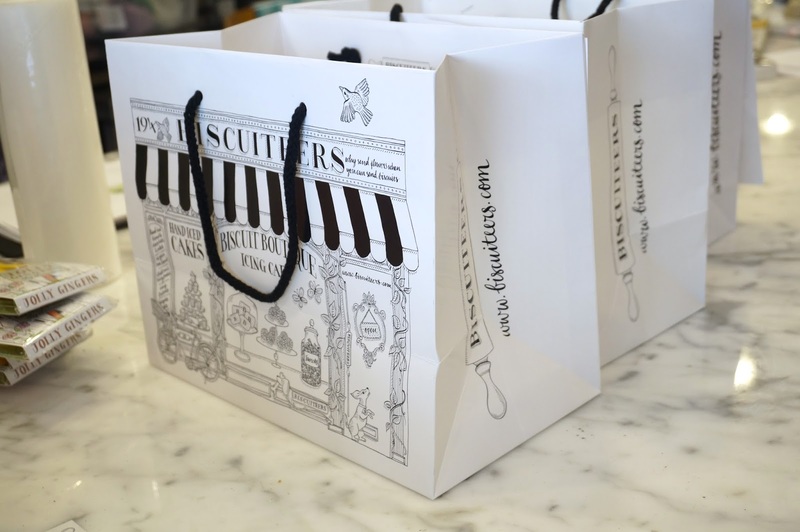 To celebrate a little pre wedding get together with my siblings, my sister and lovely bridesmaid Thuy organised afternoon tea at Biscuiteers. 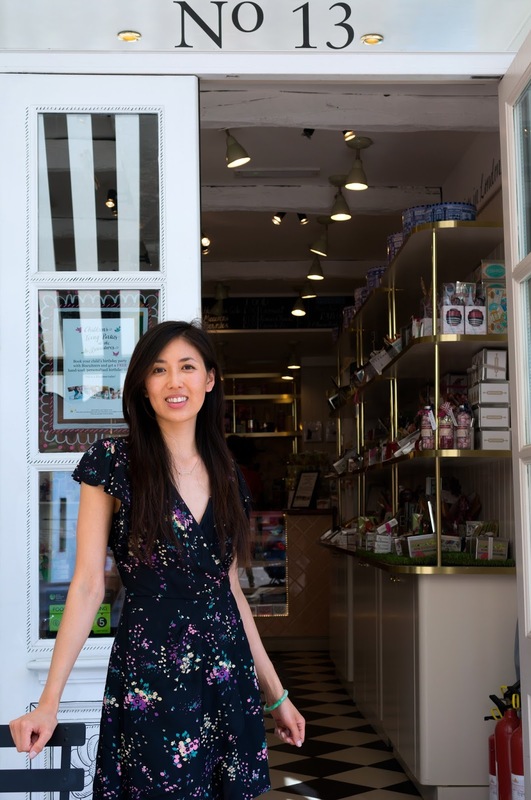 I've read about the super cute Boutique and icing shop and was excited to try out their London Afternoon Tea. 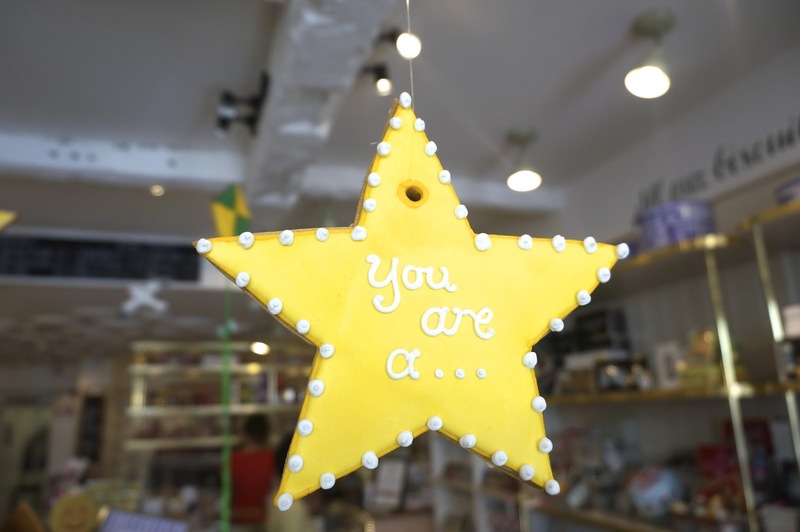 It's not just any afternoon tea though but at the cutest shop in Battersea, how sweet is their shop front? Come with me to take a look inside! 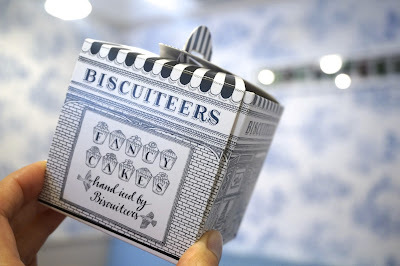 Biscuiteers offer hand iced biscuits in all sorts of delightful designs. 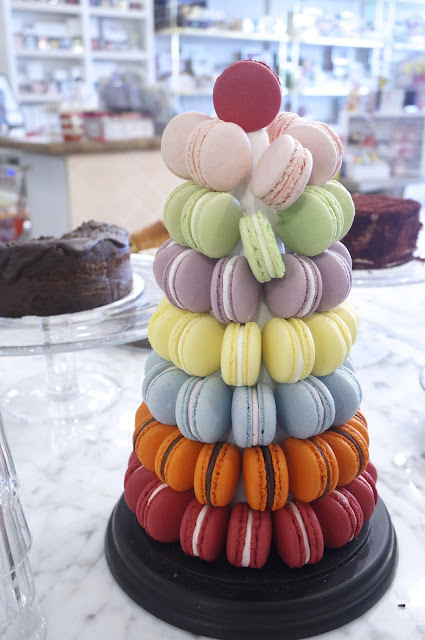 They also have their Icing Cafe and offer fun icing classes for any occasions. This would make such a sweet activity to do with a friend and you get to take home your biscuits! Onto the boutique itself, I said to my sisters 'it's Instagram heaven in here!' 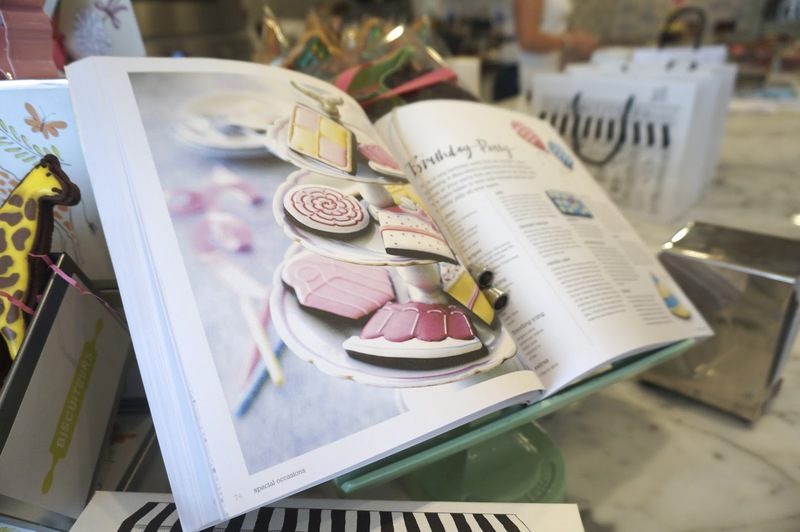 There were macaron towers, marble counters (love a bit of marble) and shelves of edible goodness. 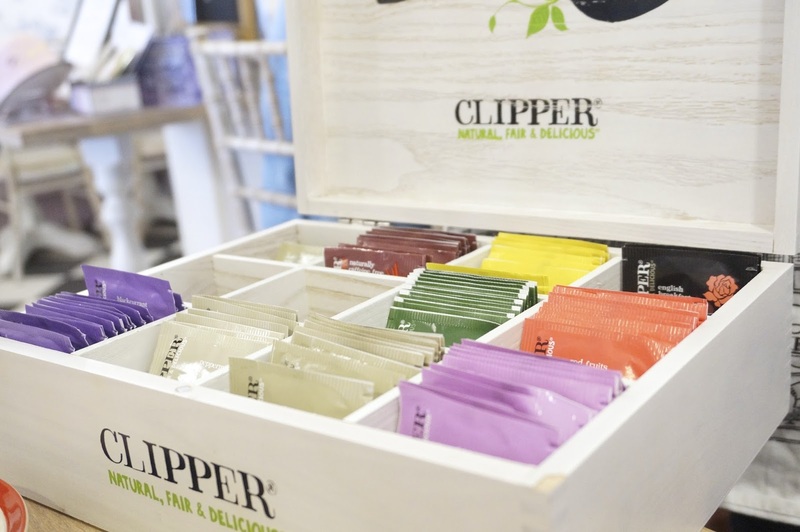 After going snap happy in the shop we settled down with a nice selection of clippers tea, I went for the Rooibos. 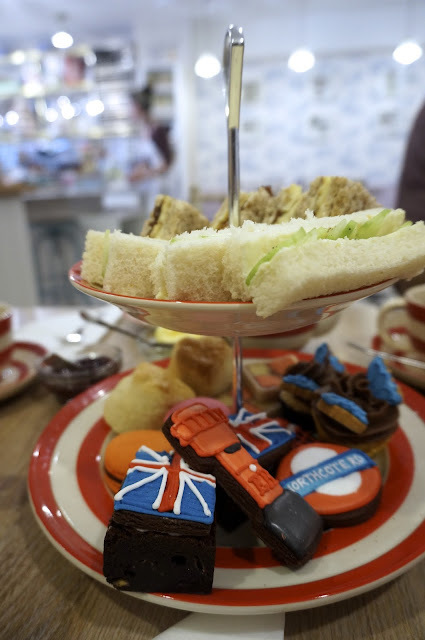 Like most afternoon teas there were finger sandwiches (salmon and cucumber, my sister had the vegetarian option) scones, macaroon, homemade cakes and the best part - iced biscuits adored with fun London designs! This really adds a fun element to an otherwise pretty standard afternoon tea. Also the cafe wasn't crowded with lots of other diners, which you can sometimes get in bustling hotels or cafes in central London. It cost £48 for two, which is pretty average in London. 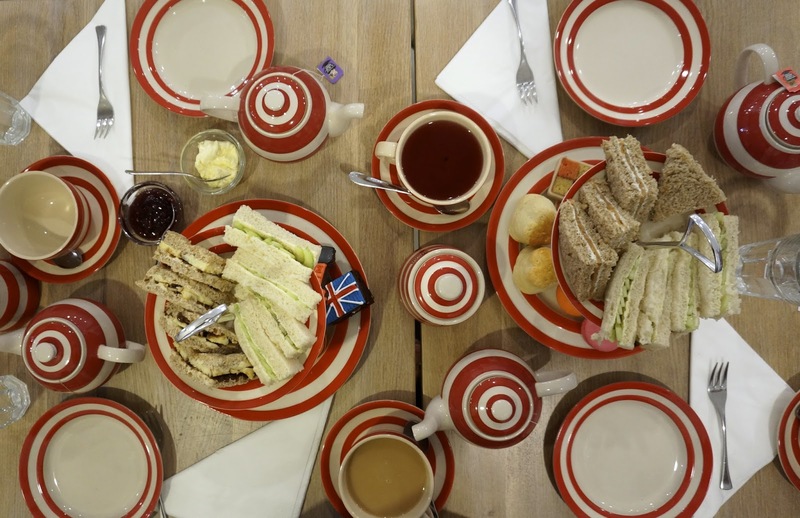 The tea set was lovely bright red and white, which reminded me of Pinterest. I was a little underwhelmed by the scones but my favourites were the macaron and mini chocolate cupcake with the butterfly biscuit on top. I love the idea of giving iced biscuits as an alternative sweet gift to cupcakes or macarons. They had biscuits designs for weddings, babies, birthdays. I love the creativity and cute detail on each biscuit. We couldn't finish everything so they gave us cute little boxes to take our left over treats home, that's worth saving some left overs for! 13 Northcote Road, Battersea SW11 1NG and 194 Kensington Park Road, Notting Hill W11 2ES. 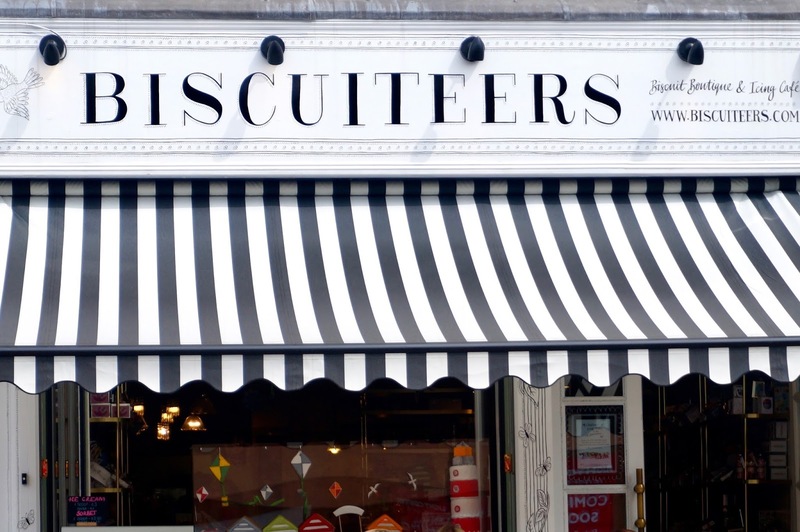 What do you think of Biscuiteers?